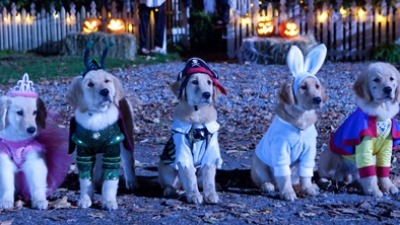 Win a copy of Disney's "Spooky Buddies: The Curse of the Halloween Hound" on DVD/Blu-Ray! Aww. Not spooky at all! Walt Disney's Spooky Buddies: The Curse of the Halloween Hound is out in stores on September 20th, but why buy a copy when you can WIN one? Check out the giveaway over at my Examiner page.